Did you make a resolution this year to eat healthier? Are you still sticking with it? With Valentine’s Day chocolate starting to hit the store shelves, it can be hard to stick to a healthy eating plan. I’ve kept my healthy eating lifestyle up for almost a year now and my secret is to allow myself an occasional treat. If I were to tell myself that I could never have a piece of cheesecake again, I know I’d never stick with it. My goal is to eat healthy 90% of the time and allow myself to eat whatever special treat I want the other 10% of the time without guilt. The “without the guilt” part is the key there. Remember though, healthy food doesn’t have to be boring. 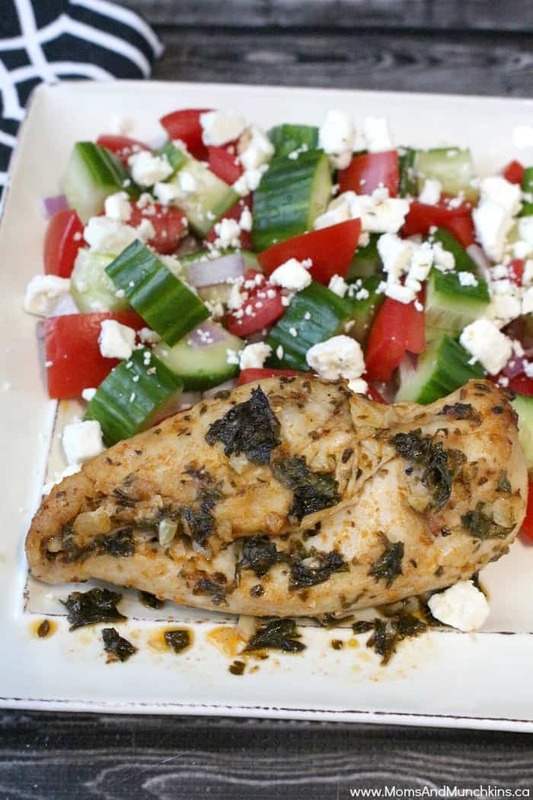 This Mediterranean chicken marinade recipe is both healthy & delicious! 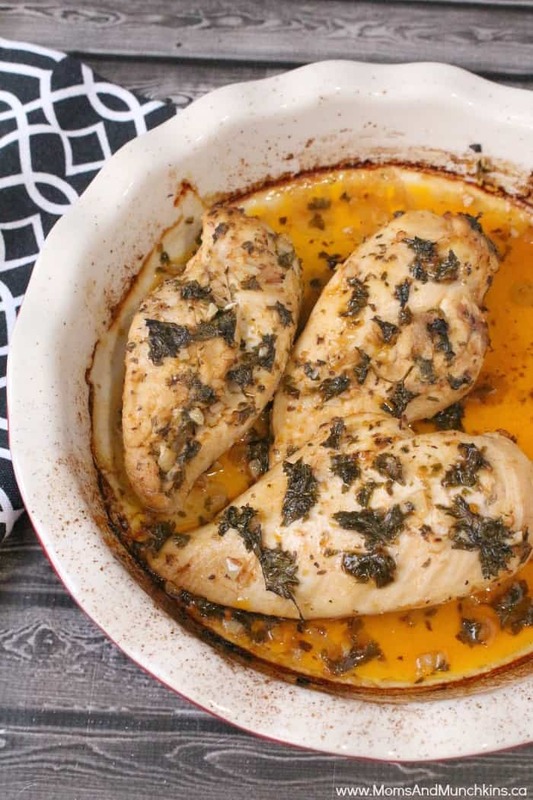 You’ll want to marinate the chicken for at least 3 hours or overnight. Make sure you seal the bag with the marinating chicken well and keep it in the refrigerator until you are ready to bake the chicken. Discard any leftover marinade – with the raw chicken in there you don’t want to reuse that marinade. 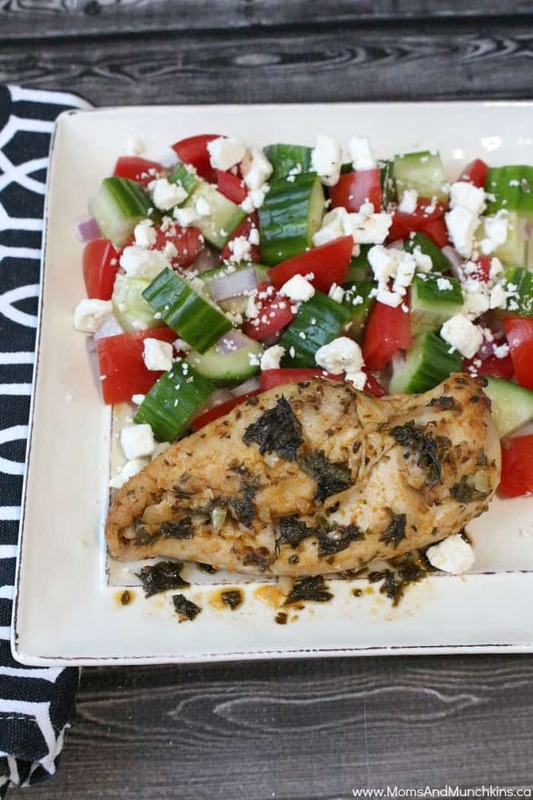 I serve this Mediterranean chicken with a healthy Greek salad including cucumber, tomatoes, red onion, feta cheese and Greek dressing. Marinate the chicken for at least 3 hours or overnight. Make sure the bag of marinade and raw chicken is sealed well and stored in the refrigerator until you are ready to bake the chicken. Discard any remaining marinade. With the raw chicken having been in there, you don't want to use that marinade again. In a large resealable food storage bag, mix the lemon juice, olive oil, parsley, garlic, paprika and oregano together. Add raw chicken to the marinade bag and seal bag completely. Shake well to coat chicken. 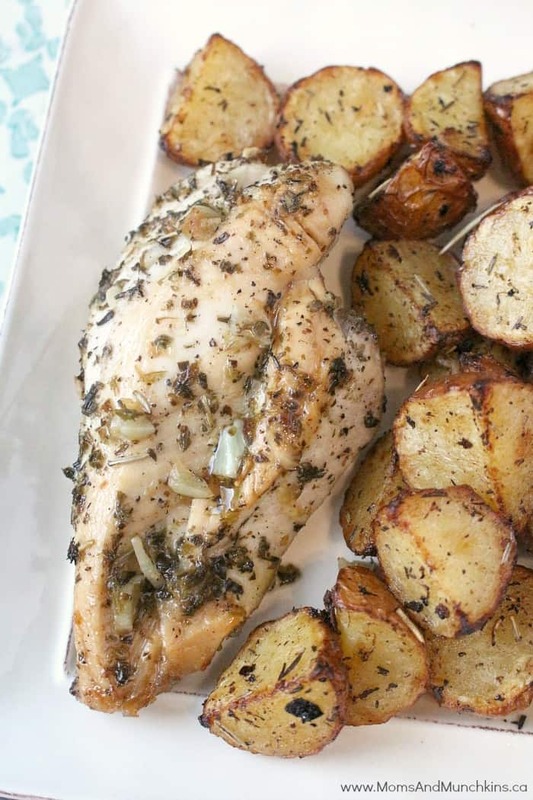 For another delicious chicken marinade idea, check out this Greek Chicken & Potatoes recipe. Visit our Recipes page for lots of tasty recipe ideas for party appetizers, family meals and irresistible desserts. Never miss an update by following us on Facebook, Twitter, Pinterest and Instagram.